Yes, it is true we are making progress. The work is going well and so it should as our visas run out at the beginning of next week. 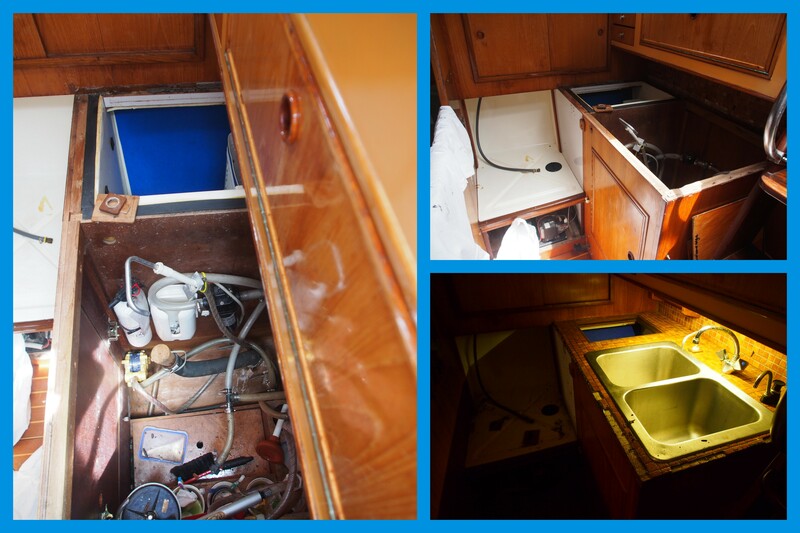 Yes, the interior of the icebox is finished, the countertop is on but not finished and yes, the boat is a mess! 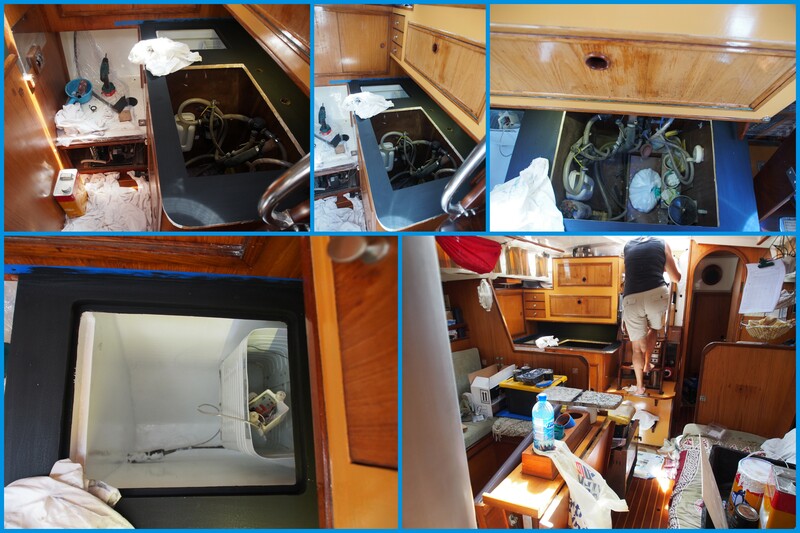 Will we be able to get it together for the coming sailing season. Wow! Cockpit looks amazing – well done! Thank you. Now I don’t have to sit on nail heads. 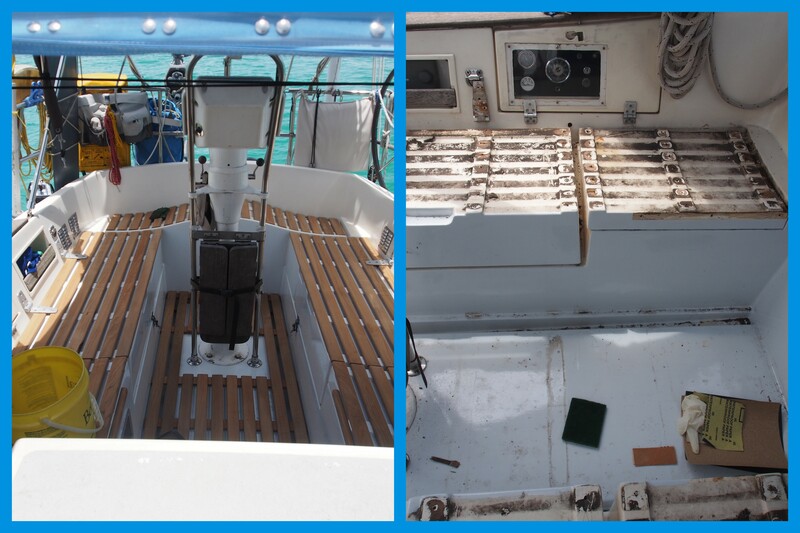 looks amazing and you are definitely in the right place for sourcing teak I think! Nice job on the cockpit! Sitting on nail heads is good for you though.